Change notification, general (automatically check for updates), chat, password, voicemail PIN, and language settings in the Mac desktop app in Preferences. See Download the desktop app to get the free application. 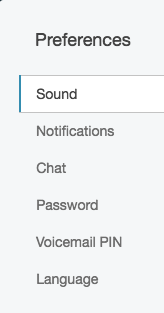 To access User Settings, from the sidebar, click your profile picture. Then click Preferences. 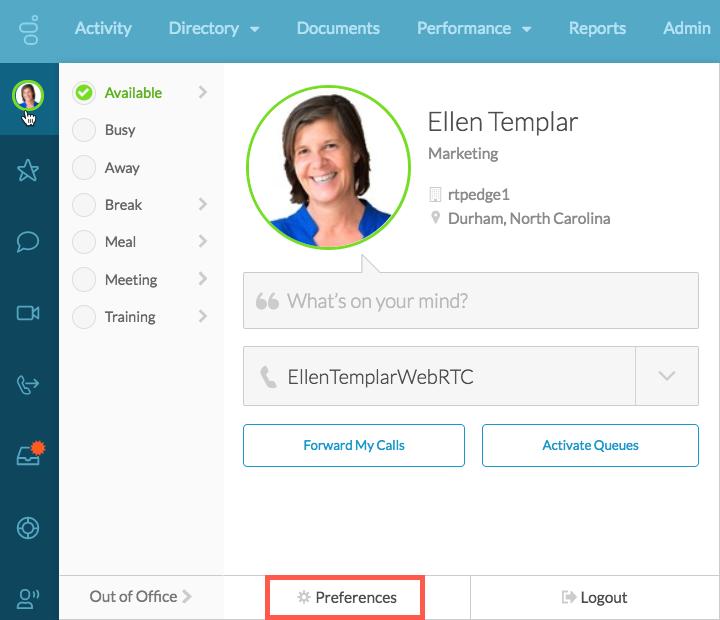 Alternatively, you can also access Preferences from the desktop app menu in the navigation bar. Click PureCloud, then click Preferences. You can test and adjust sound levels for input and output devices. From Preferences, click Sound. From Preferences, click the Notifications tab. Change your settings to suit your needs. Choose whether you receive desktop notifications. To receive all notifications, select the Allow Pop-up Notifications check box. To see how and where notifications appear, click Send test notification. Choose whether you receive notifications about new group chat messages. Direct messages and mentions in group chat rooms always create notifications, even if you hide all group chat notifications. To receive all notifications about new group chat messages, select the Show Pop-up Notifications for Group Chats checkbox. To hide all notifications except direct messages and mentions, clear the Show Pop-up Notifications for Group Chats checkbox. Note: To see the Show Pop-up Notifications for Group Chats option, first select the Allow Pop-up Notifications checkbox. If you do not enable Allow Pop-up Notifications, then you do not receive group chat notifications. Play Sound Choose whether notifications produce a sound. 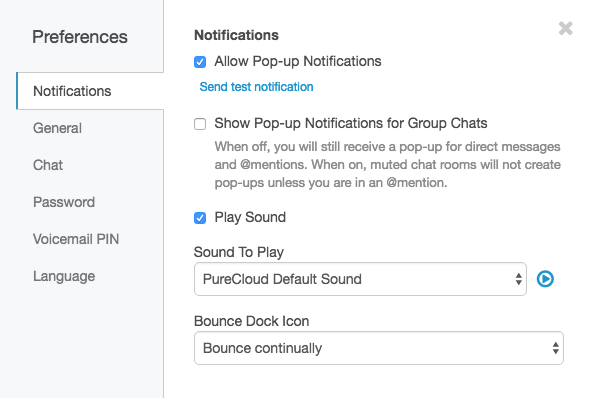 If you do not enable Allow Pop-up notifications, sounds do not play for messages even if you select Play Sounds. Sound to Play If you chose to play sounds for notifications, you can choose the sound you prefer to hear. Choose whether and how you want the PureCloud app icon to bounce in the dock when you receive a new message. If you set the dock icon to bounce, it bounces even if you have not selected Enable Desktop Notifications. 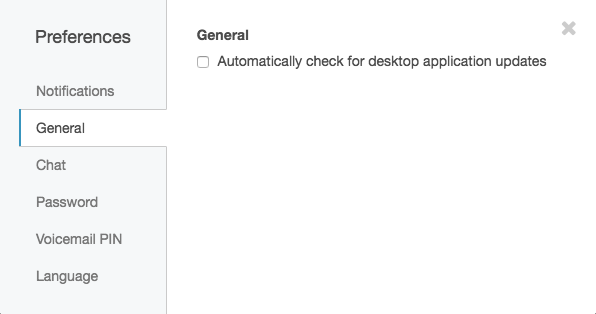 Change the default settings for automatic checking for desktop app updates. From Preferences, click the General tab. Change the settings to suit your needs. 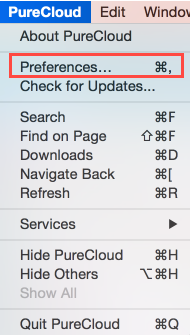 To have PureCloud automatically check for Mac desktop app updates, select the checkbox. From Preferences, click Chat tab. You can also access chat preferences from the chat panel. Choose the order PureCloud lists chat rooms in the chat roster. Choose how media, such as images, social media, and videos, appear in your chats. To show media open in chats, select Expanded by default. To keep media hidden until you select them, select Collapsed by default. For the most spacing, select Comfortable. 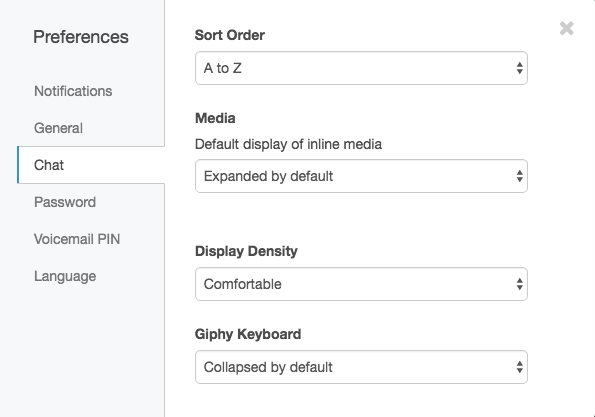 For medium spacing, select Compact. 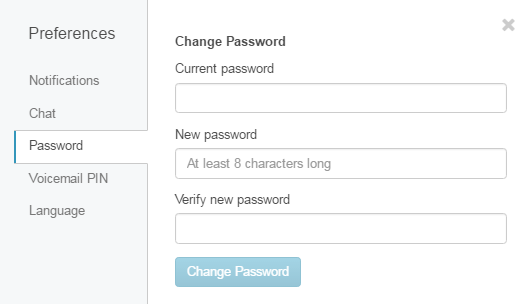 For the least spacing, select Minimal. 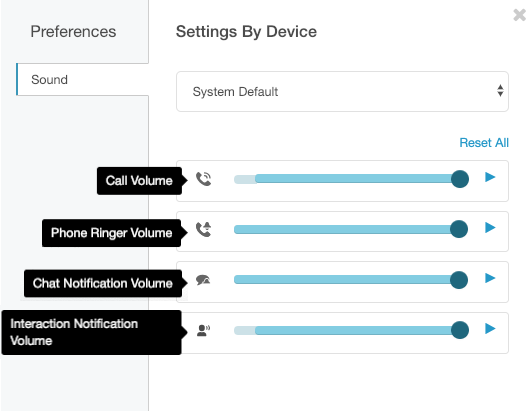 Use your voicemail PIN to access your voicemail from your phone when you are not logged into PureCloud. Select your preferred language. 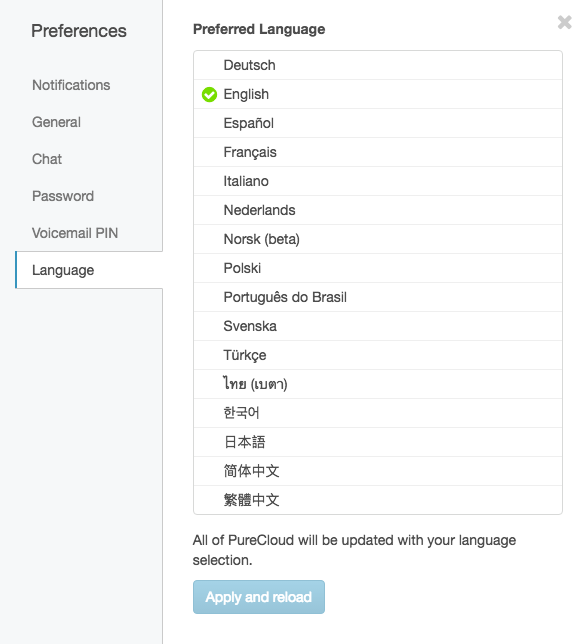 PureCloud updates with the language you selected.